Please join us for our Special Needs Easter Egg Hunt. 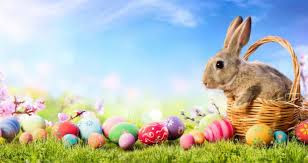 We will have 3 different Egg Hunts- Mobility Egg Hunt (Wheelchair, Crutches or General Mobility Issues), Visually Impaired Egg Hunt (Blind) and Sensory Egg Hunt, pictures with the Easter Bunny, crafts, balloon twister, cookie decorating and more! All ages welcome! Registration is Required. Please RSVP by April 15, 2019. Join us for an Easter egg hunt- we will have an egg hunt for age groups: 0-3, 4-7, 8-12, and 13 and up. Plus pictures with the Easter Bunny, crafts, cookie decorating, face painting and more! Egg Hunt starts at 3pm, and pictures/crafts will be at 3:30pm. No registration required- just come and have fun! If you, too, see things differently, help us show the world how good different can be. - who ran, walked, volunteer and made donations! 100% of the Proceeds from this Race are Donated back to ASCO! R.C. §3304.23 defines a communication disability as a human condition involving an impairment in the human's ability to receive, send, process, or comprehend concepts or verbal, nonverbal, or graphic symbol systems that may result in a primary disability or may be secondary to other disabilities. A disability that can impair communication is defined as a human condition with symptoms that can impair the human's ability to receive, send, process, or comprehend concepts or verbal, nonverbal, or graphic symbol systems.